Last year I was incredibly fortunate to get to see Orcas in the wild; this was a real ‘bucket list’ moment for me and an absolute highlight of a round the world trip Mike and I had just completed. Reminiscing on this experience the other day I was saddened by the thought that this may not be possible in the future if conservation efforts are not given a higher priority. 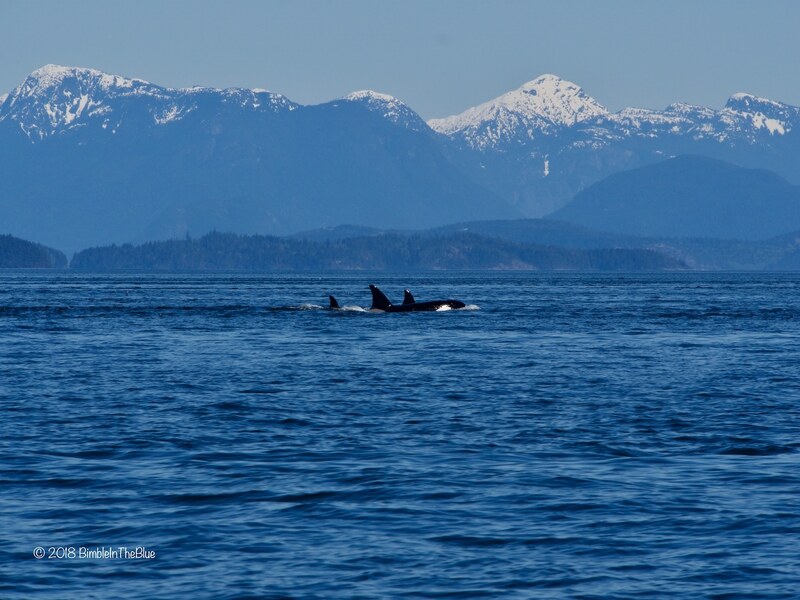 It is an incredible privilege to see these magnificent and intelligent creatures going about their natural behaviours, as we were able to on our trip to Vancouver Island in the stunning surroundings of the Salish Sea. The main purpose of our trip was, as ever, to go diving, however, the opportunity to go on a wildlife watching trip in an area famed for its cetaceans, pinnipeds and birdlife was not one we were going to miss! 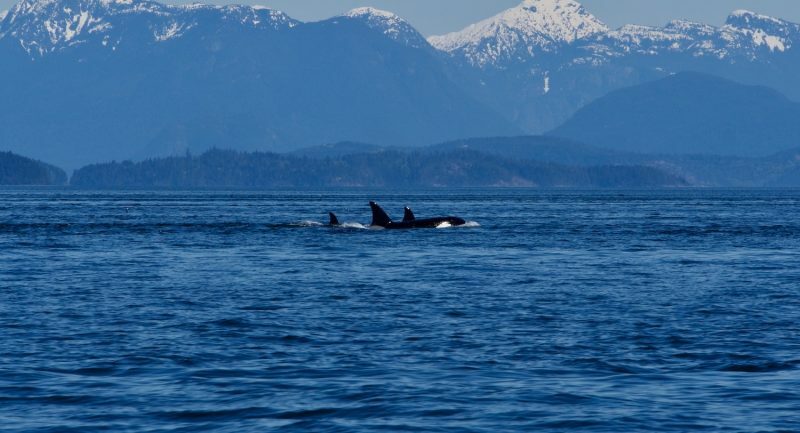 Vancouver Island is a great place to see Orcas, as well as humpback whales, dolphins and other highly sentient creatures. 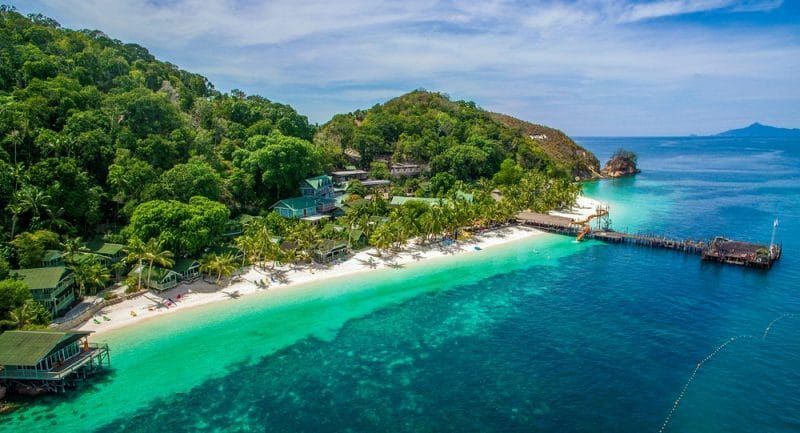 If you enjoy watching wildlife, on or beside the sea surrounded by mountains and forests, then this really is paradise. Incredibly sadly though, like many of our most precious and stunning natural environments, it is under threat. I’m focusing on specific threats to Orcas here, but of course, many threats to this species also effect a much wider range of organisms. Helping Orcas, which are intelligent and long-living apex predators, benefits the entire ecosystem as a whole. 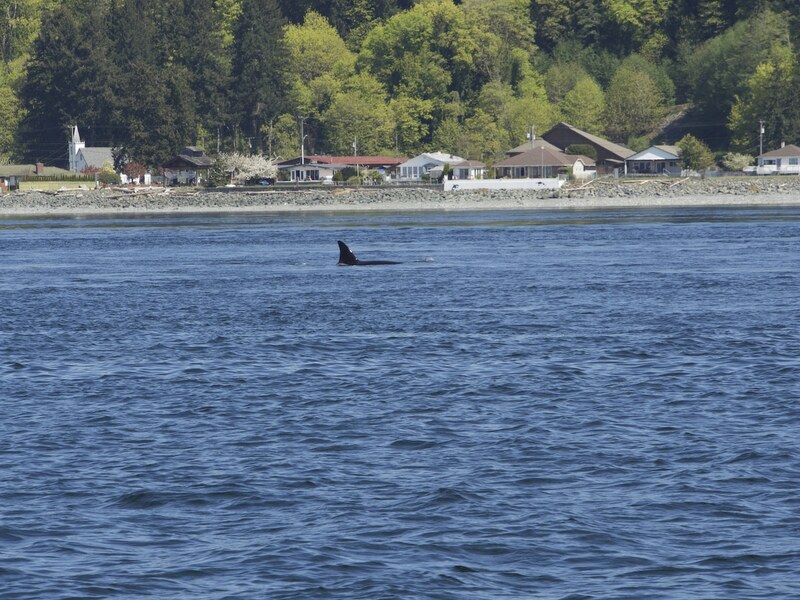 Noise pollution from boats and sonar interfering with Orca’s hearing, communication and hunting. Pollution of water sources resulting in poisoning as toxins get into fish and accumulates at the top of the food chain. Fish farming has caused huge amounts of pollution, disease, low oxygen environments, and escape of non native species. Fish farming is probably the biggest issue as the top three points can all be linked to the fourth. 1. Fish farms are patrolled by boats that create noise pollution. 2. Huge amounts of pollution come from fish farms. 3. Overfishing is increased by the demand for fishmeal and fish oil in pellets fed to farmed salmon. Though they are not solely responsible, even a single large fish farm causes a disproportionately high environmental issue. Worldwide there are more fish farmed than cattle and this causes massive environmental problems. Fish farming was once viewed as ‘taking the pressure off’ wild populations but sadly the opposite is true. Salmon are the most commonly farmed fish. They are fed pellets made from commercially harvested wild fish and it takes approximately three times the amount of wild fish to raise one farmed salmon. Definitely not good for wild fish stocks. Fish are kept in densely stocked pens, so to avoid disease and malnutrition they are fed antibiotics, pesticides and vitamins. Uneaten pellets and concentrated waste from the farmed fish goes directly into the environment. Large quantities of these pollutants become concentrated in small areas around the farming pens, causing eutrophication (pollutants contain nutrients that make algae bloom and the algae use up all the oxygen, creating a dead zone). Antibiotics and pesticides that can poison the surrounding water and accumulate in fish eating species. There is also considerable worry that disease and parasites present in densely populated fish farms can spread to the native wild fish populations. Economy, jobs and shareholder profits are all important in the modern world, and are often cited when big business meets conservation. The issue is, if we ruin our natural environment, where will fish farms get the fish for fishmeal pellets? What do we do if all the water is polluted? Any industry that damages the environment so badly is not sustainable, so their profits are not sustainable. It doesn’t seem to make sense from a long-term business standpoint or a conservation one. This may all seem a long way away, if you were not contemplating a little sojourn across the globe, however, our actions in our neighbourhood supermarket can make a huge difference to the future of Orcas and their fellow marine species. Despite being in the UK, ordering a fillet of farm-reared salmon (often labelled as King Salmon or Farmed Atlantic Salmon) has severe consequences. By eating so much salmon in comparison with other fish, we create a demand for more than can be sustainably provided by our fisheries, leading to more demand from fish farms. We can have a direct impact by changing our diet a little. We could choose not to eat fish at all, or eat it less often. Perhaps more realistically, we could pay a little bit more for sustainably caught local fish or simply choose something besides the most intensively fished and farmed species (such as salmon, tuna, cod and haddock). The Good Fish Guide by the Marine Conservation Society – www.mcsuk.org/goodfishguide/search – is an excellent place to start. All of us together can make a big difference if we all take the small step of changing our consumer habits slightly. In addition to helping Orcas, a small change in our diets will benefit many other species. By creating less pollution and a healthier wild fish population, the whole ecosystem benefits hugely. Put simply, fish farming is a global problem: in Scandinavia, New Zealand and South America similar issues are affecting wildlife. Much closer to home are the fish farms of Scotland and our northern isles, where our traditional fishing industry is already struggling and our sea is much more barren and polluted than it should be. The great news here is that we have the power to force the change, simply by shopping a little wiser! Unlike most conservation headlines we see, the story of Orcas is not all doom and gloom. In Canada, B.C. First Nation leaders have been taking their concerns to the Canadian government in order to remove fish farms from their traditional territory and talks are currently underway. In 2018, Washington State in the U.S. banned fish farms in their waters, after a series of incidents. If the ruling stands it will mean the current farms will not have their licences renewed once they expire in 2022. It is hoped that more positive news of this kind will follow in other countries soon. So as a passionate conservationist that’s my crusade of the day: let’s help the Orcas. Orcas are awesome, they are a joy to behold, as is the incredible underwater environment they inhabit. If you get the opportunity I cannot recommend a trip to see them highly enough! And a few small changes in our habits can help preserve that opportunity for future generations.